I'm so glad my wife picked this up off the shelf while we were at the library. Of all the books on birth I've read (which before January was zero...and is now steadily growing) this gives the best intro to home birth and why it makes such a difference to NOT be in the hospital (if you are low risk). What she shares just made sense to me, it resonated with my understanding of people and life.I think one of the things I like best is that it is, in part, a chronicle of her journey of understanding. She started out with the idea that hospital births were the best, safest kind. I think this is where most of us start out this process. And so her journey parallels, at least in part, the journey of most of us. From the basic assumption that doctor's and hospitals do what is best for mom and the baby through to the conclusion that while doctor's and hospitals are necessary in some cases, most healthy women would be better off giving birth at home. She starts out the book talking about her early experiences among Amish women, and how their birth experiences were nothing like she had expected or been taught. Their home births were relatively easy and required none of the interventions she had learned, which baffled her. She talks about how, from her practice, she had firsthand knowledge of how birth could be, but no scientific explanation for it until she met Dr. Odent, a french physician, who had done the research to prove her hypothesis. His research clearly showed that undisturbed births, the very kind she experienced among the Amish, where the safest and easiest for mothers and babies.I actually don't remember many details from the bulk of the book (I believe they were driven out of my brain by the four birth books that I read after this one), but really recommend reading at least the first few chapters where the philosphy of undisturbed birth is explained. Having also read now several birth books (do you call them pregnancy books or birth books?) by OBs I appreciate (after the fact) that she is not so authoritative, but rather more like a friend sharing her experiences. Two midwives wonder why Amish women tend to birth with less pain and complications than the typical American woman. As they search for the answer, they share their views of how the current medical culture in America has neglected the natural and human dynamics of birth. Informative and thought provoking. Not as good as their first. Offers up a problem, discusses it, and never really draws any conclusions or offers a solution. A bit disappointing, but still worth the read if you are interested in the subject. 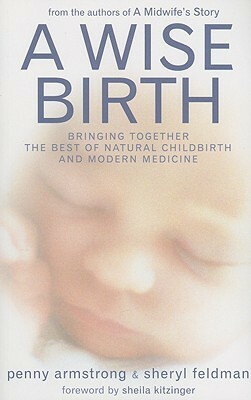 This is an amazing book that encourages natural childbirth and discusses a lot about the history of medicalized birth. Very informative but written in story format based on the authors' personal experience as midwives, mainly to the Amish community. This book combines birth stories with explanations of the history of childbirth in the US as well as ways it needs to be improved. I read this in preparation for my own home birth and found it very helpful in preparing and understanding the process. i couldn't get through this. it is informative about natural childbirth but there is a lot of negative information about the more recent history of childbirth in the book. this might be a better book for a birth partner or for a woman who is not pregnant. A wonderful book for Moms to be or anyone who has or yet to have a birthing experience. I read this book because John's daughter is pregnant and wants to have a natural birth. Made me in awe of Ruby all over again. Outdated in its presentation of obstetrics and typical hospital births, but I like the anthropological take on medicine and homebirth (i.e., they are both specific cultures) that underlies her argument. Would be great if all obstetricians read this book. Oh, wow. Very, very interesting. A time capsule in the American story of women's health (though I fear it is all too relevant today . . . but I wouldn't know).